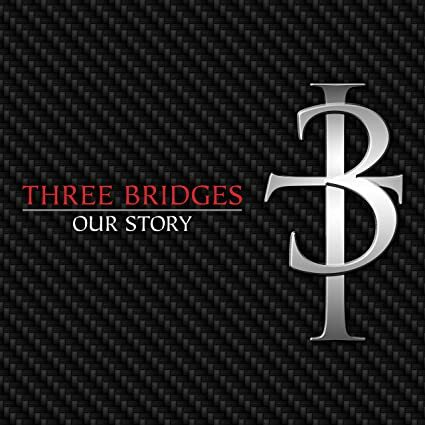 I’m old enough to remember when Three Bridges first hit the radio and, to be honest, I didn’t care for their sound. Today, the group consists of original member Elliott McCoy, as well as Shannon Smith and Jeremie Hudson, and I am starting to enjoy listening to them. 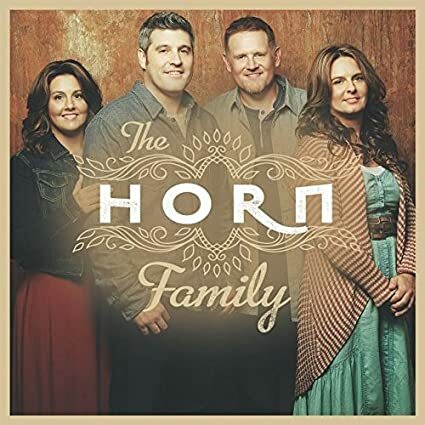 Although most of their songs are progressive or have more of a black gospel feel, Down the Road to Damascus is the kind of song you would expect to find on a traditional Southern Gospel CD. I like the message of Like Jesus Did as it talks about the desire to be more like Christ. Faith Shines Brighter tells the story of Shadrach, Meshach, and Abednego. Live the Gospel is another song with great lyrics. Other songs include: Count It Victory, My Story, Good News Never Gets Old, God Did It, Nothing But, Gonna Keep Livin’ and The King of Love My Shepherd Is. 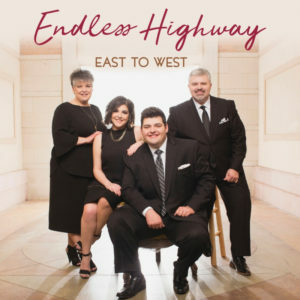 Formerly known as The Joylanders, Endless Highway consists of Perry & Nell Wimberley, their daughter Vanessa and her husband Jason, and Jason and Vanessa’s children, Jay and Allison. Both old and young should be able to find songs on this recording that they enjoy as there is a mixture of traditional and progressive southern gospel music, with the ballads being more inspirational and worshipful. The CD begins with the peppy song It’s a Highway to Heaven. A beautiful song with a good message is Under the Sea. “For every unanswered question, there’s an Unbroken Promise.” An encouraging thought if you’re going through a tough time. Other songs include It’s His Story, This is the Grace I Know, Count It All Joy, I’ve Got the Son in My Eyes, Go Ahead and Shout, Beautiful Scars of Love, and Out of the Deep. Brian Free has been singing professionally since 1982. Although he is older than me, I feel like I have watched him grow up on stage. I was a huge Gold City fan in the 1980s and, when Brian left to form his own group, I continued to follow his music. Although Brian Free & Assurance are more progressive than even I prefer, their lyrics are very strong. This CD highlights twelve of those amazing songs on which Brian was featured. Unashamed; I Believe; He Still Saves; There’ll Come a Day; I Want to Be That Man; He Will Carry You; For God So Loved; Only God Knows; Die Another Day; Calvary’s Cry; Stand Among the Millions; and Never Walk Alone. Master’s Voice is a southern gospel group based in Bristow, OK. In listening to their sound, I’ve been trying to think of who they remind me of. Maybe the old Journeymen Quartet or Old Paths. Here I Am Again: I’m so thankful I can go back to God each time I fail and, in His mercy, He extends forgiveness yet again. Somebody is Me is an upbeat song that will bring a smile to your face and cause you to praise the Lord wherever you are. Other songs include I Can Hardly Wait to Fly, Goodbye to Goodbye, Lord of Mercy, I Know What He Did for Me, This Same Jesus, Things God Doesn’t Know, Send Somebody, Ain’t it Good, and Everything the Blood Touches Lives. Watts, Rowsey & Bean consists of Nicole Watts Jenkins, John Darin Rowsey, and Gina Bean. I’ve been listening to John Darin Rowsey since his days with New Journey, so I’m most familiar with him but his name alone made me interested in this CD. Old-time southern gospel fans may immediately assume that the title track is the old Albert E. Brumley classic, Turn Your Radio On, but it is actually a new, rousing song written by Watts, Rowsey & Bean. “I don’t wanna Waste Another Day. Not one minute if You’re not in it. Jesus, You’re the only reason that I live.” Do I hear Amen? I Still Am Your Child is a reassuring song that God is ever near, arms open wide when we go running back to Him. He’s in Control is another song of encouragement. You will reap if you faint not! Keep hanging in there. Written in the Scars talks about the crucifixion and yet the fact that it doesn’t end there. This is my favorite on the CD. “There’s going to be rejoicing When Revival Comes to Town.” Real revival, that is. There are way too many things that are called “revival,” which has nothing to do with changing lives. When true, Heaven-sent revival comes to town, you will notice the difference. I’ve Come to Bless You is a song of praise and worship to the only One worthy of our praise. Faith is an older song written by Karen Peck Gooch and John Darin Rowsey. 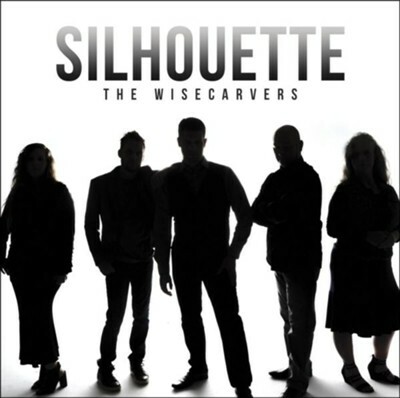 An uptempo song that talks about what faith is. The Bible says that, if we don’t cry out, the rocks will do so in our place. This next song tells us Don’t Give a Rock a Chance. I hope the rocks never have to cry out because I am not praising my God who has done so much for me. He Lives to Love talks about how great the Father’s love is for us. 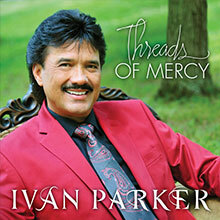 This latest release from Ivan Parker is full of good songs and quality background vocals from Chris Allman, Lauren Talley Alvey, Roger Talley, Reggie & Ladye Love Smith. Til the Shackles Fall Off is a song about praising God continually no matter what you are going through. God’s in the Middle of It is a song of encouragement. No matter what you are going through, God truly is in the middle of it. Jim Brady wrote Don’t Hang Your Head and Cry. Another song of encouragement for those who are going through trials. Silent Prayer is a slow story in song. The first verse talks about a man who was born deaf who came to know the Savior. “Though he cannot speak a word, he always knows that he is heard.” How beautiful! You do not need to shout to be heard. Just whisper His name, and He is right there. How do you know grace, peace, love, etc.? Kenna West, Lee Black, and Cliff Duren tells how in This Is How We Know. Kenna West co-wrote On the Solid Rock I Stand with Gerald Crabb and Don Poythress. There is nothing to worry about when you’re standing on the solid rock. He Touched Me is a song most everyone is familiar with. I like the piano on this song. Wings is a song about getting my wings to leave this earth. The CD ends with the slow, How Much Longer. This is a plea to those who are waiting to say Yes to Jesus. “How much longer will you wait?” Please don’t wait until it is too late. 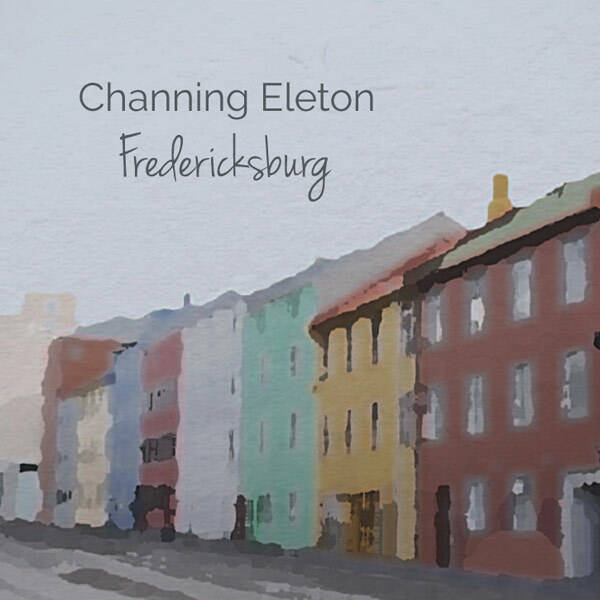 The latest release from Channing Eleton features nine original songs written by Channing. The CD begins with the uptempo Launching Out Into the Deep and then slows down for the title track, which talks about finding Jesus in Fredericksburg. Big Top is about revival! Modern Day Prodigal needs no description. “I want to give you much more than you ever prayed for. Bring to Me Isaac and place him at My feet.” Nothing is worth holding on to. God would like to take your dreams and give you a much bigger one than you could ever dream of. Pour Down the Peace is a prayer for just that: peace. Keep On Movin’ talks about moving on with God in spite of what the world throws at us. “The Silence of God doesn’t mean you are forsaken.” Hang in there. He has promised never to leave you, nor forsake you. This is just a test. I am not typically a fan of a cappella recordings but this CD from the Nelons is a keeper. They did a brave move by starting the CD with The Hallelujah Chorus but it does the job in capturing your attention so you desire to hear the rest of the project. It may grow on me but I am not particularly fond of their rendition of There is a Fountain. I expect some will like it though because it is different. It does showcase their tight harmony. I hadn’t heard Do Unto Others before but they put a lot of soul into this arrangement. Then the tempo slows down for a medley of Pass Me Not, O Gentle Savior and Just as I Am. They did a rousing rendition of Keep On the Firing Line/Onward Christian Soldiers. Other songs include: Tis So Sweet; Hallelujah, What a Savior; Since Jesus Passed By; and I Need Thee Every Hour.